I have come to believe that manifestation / the law of attraction is simply accessing and harnessing a small portion of God’s Divine power, the power of the Priesthood. 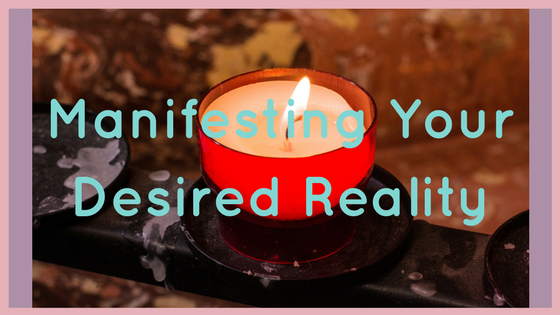 Whenever you are creating your own reality, manifesting your heart’s desires, you are using a portion of this power. As long as it is indeed for your Highest Good, and the good of others, you can achieve anything you want to. You must seek with real intent, with a real, genuine desire to learn of truth and then to act on truth. Truth doesn’t necessarily have to be a spiritual truth. It could simply be the right path, the right course of action, for you, either in any given moment or your life plan as a whole. Read books / search the internet for any religious / spiritual material that will help increase your knowledge and understanding of the Divine. Learn about your potential. Find books / internet material that help you increase in knowledge of the things that interest you and will help you to grow. You must study it out in your mind. Think about what you have read. Look at it from an intellectual perspective. Write things down. What are the pros and cons? If this is meant for you, what are the possible action steps that you can take, no matter how small, that will help you reach your goals? Communication with the Divine is necessary to discover and to follow the right path for you. Find a place to get still and quiet. Light some candles if that helps you relax. Focus on your breathing. Give GRATITUDE for everything in your life. The good, the bad and the downright ugly. Everything helps us to grow. Everything serves our Higher Selves. State your INTENTION. What are you hoping to discover? What do you want to achieve? State your MOTIVE. Why do you want this? From your perspective, how will this benefit you and others? ASK for guidance. The Divine can only help us if we ask. Otherwise He would be taking away our freedom and forcing His help on us. We must ask with real SINCERITY. LISTEN. Stay quiet. If thoughts arise, take note of them, how do they make you feel? Light and expansive? Heavy and restrictive? Full of joy and peace? Icky and a little bit sick? and then return to the breath. There are three outcomes: positive feelings, neutral feelings and negative feelings. If it is positive, it’s safe to say that you can go down that path. If it is negative, stop. Stop it now. Whatever it is, it is not meant for you. The neutral feelings can either mean you need to wait a little longer. Either the time is not yet right to receive either the answer or the thing you desire. Or, you have not yet recognised the answer that has already come. In both cases you need PATIENCE. To align to our Highest Self is to align with the will of the Divine. God knows everything that is meant for us. He knows what is for our Highest Good. He knows what will benefit us the most. We just need to TRUST Him. Trust that He knows what is meant for us and that He does indeed love us individually and He knows us by name. Expect an answer, but don’t expect it to come on your own timetable. Expect an answer, but don’t expect it to be exactly what you want it to be. It might be… or it might be even better than you dreamed of. Or it might be something that we really did not want to hear. Remember that He knows us all individually. He knows what you need. We are only mortal and so we can only think from a mortal perspective. We may believe something is right for us, but God, in His infinite wisdom, knows what is best for us. Remember, you still have a choice. There is a Divine Plan. There is a Divine Order. There is Divine Timing. In all things. Once you receive an answer, you must act on it. If you have not yet received an answer, or you cannot yet discern that answer, act on your chosen path. The one you came up with in the PONDER section. Sometimes the trial of our faith is to jump in with both feet and just act. We can course correct later. The Divine expects us to prove ourselves, to prove that we are in actual fact committed to our goals, so He can help us. We need to act but at the same time we need to be open to the possibility of change. Sometimes we begin something and then realise that actually that’s not meant for us. This is a good thing. By taking action on our desires, we can learn what we most definitely want, and what we most definitely do not want. As long as we have surrendered to God’s will for us, or have even the tiniest desire to, everything will be alright in the end. It will turn out better than we could have ever dreamed. Do this every single day. At least twice a day. Morning and evening. As often as needed a day. Perhaps in a shorter form during the day. But do it every single day. This is a continual process in order to be capable of receiving Divine instruction on our life’s path. It is not a do it once and forget about it. No. This is a rinse and repeat kinda thing. Do it daily and do it with sincerity. Very insightful and lots of food for thought and actions, too. Thank you for your inspiration.